Kathy McCullock is the ideal vacation planner to assist with your next family vacation at Disney or other exciting destination. Growing up in North Carolina, Kathy appreciates the true value of great customer service with a touch of Southern hospitality. 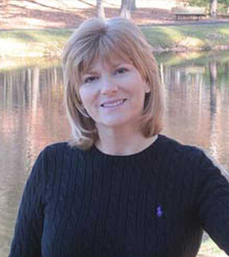 For over 12 years, Kathy has been helping clients with their memory making getaways. She is a College of Disney graduate and has attended numerous Agent Onsite Education Programs to keep up with the ever-changing opportunities to experience new thrills or a relaxing time to unwind. Since her teenage years, Kathy has been a regular guest at the Disney Parks and passenger on Disney’s luxurious fun-filled cruise ships. Whether you are a Disney regular or planning your first trip, Kathy’s tips on restaurants, attractions, resorts or cruise itineraries including shore excursions will help you make the most of your special trip. Often, it is those little details that make your vacation the best one ever! As a Universal Parks & Resorts Specialist, Kathy has extensive experience with Universal Studios and other Central Florida attractions. She enjoys planning romantic getaways, family vacations to various destinations including Beaches Resorts and other all-inclusive resorts, and cruises with Royal Caribbean and Carnival to popular destinations in the Caribbean and Mexico. Kathy has traveled with all ages from infant to adult. No matter what destination you choose, she would love to assist you making your next vacation unforgettable.